From the meticulously decorated boxes in the Royal Court Theater to the fine details in the wood paneled library, Queen Victoria will impress even the most discerning passenger. For the active cruiser, there are traditional deck games, a fully equipped gym and live sporting events. Those who wish to be pampered can head over to the Royal Spa for a relaxing massage, facial or a treatment. There are numerous dining rooms, specialty dining options, bars and lounges on Queen Victoria, and all of them are filled with excellent dishes cooked up by highly talented chefs. In the afternoon, white gloved waiters will serve you afternoon tea in the Queens Room. Onboard enrichment options are diverse as well in the computer center, the two story library and lectures given by experts in their field. At night, the theater shows spectacular live performances and the Empire Casino offers plenty of options to tempt your luck. When you’re tired, retire to your luxurious stateroom and enjoy the attention Cunard has put into every detail of your own personal cruising oasis. Dining Room Dress Code With the exception of at least two formal nights, the evening dress code is semi-formal or casual. 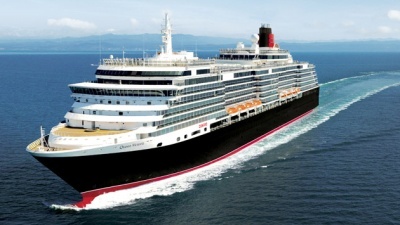 Tipping Guidelines Cunard will automatically add $11.50 per day, per guest to your onboard account for Britannia Accommodations ($13.50 per day, per person for Grill Accommodations). These amounts can be adjusted onboard. A 15% tip is added to all beverage orders and salon services.